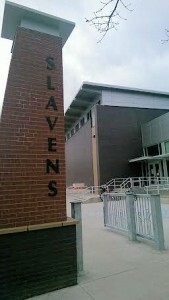 Slavens School is a Southeast Denver Public K-8 school located in the Wellshire Neighborhood. See all homes for sale close to Slavens School in Denver here or scroll down. In 2012, Slavens School was recognized by the U.S. Secretary of Education and named a National Blue Ribbon School. Recognition is based on overall academic achievement or for making progress in improving academic achievement levels. Slavens School Report Card evaluates the school’s overall performance and academic proficiency and growth. Test scores and additional details about the 530 students that are served by Slavens School can be found here. Slavens School offers unique, enriching programs for students. Slavens School is focused on strengthening STEM (Science, Technology, Engineering, and Math) literacy for students, which includes implementing a STEM. Friends of Slavens School is a non-profit organization that helps to ensure that Slavens students get an education that goes beyond the basics. Funds from FOSS pay for extras that are not covered by Denver Public Schools including, materials and supplies for Art, Music, Music Theater, Spanish, and the Band Program. Parents are active in many areas of Slavens School including: volunteering in the classroom, coordinating activities and events, fundraising, and being involved in the PTA. It is common for Slavens School to have a waiting list for people who want their children to attend. Children who live within the Slavens School Boundry are given priority for enrollment. 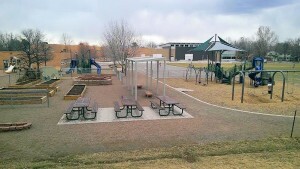 Basketball courts, a variety of playground equipment, gardens, and open space for playing are some of the outdoor attractions that Slavens School offers to students and families in the area. Slavens School, which is located at 3000 S. Clayton Street, attracts families to the Southern Hills and the Wellshire Neighborhood. Many of the ranch style homes that can be found throughout both neighborhoods were built after World War II. The Southern Hills Neighborhood and the Wellshire Neighborhood are quiet communities. They both are conveniently located near several shopping centers. 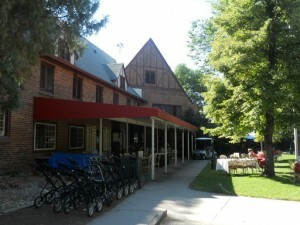 The Wellshire Neighborhood is well-known for being home to the Wellshire Golf Course, The Wellshire Inn, and the Skeel Reservoir.